Workers of the whole world commemorate today the 199th birthday of Karl Marx, great teacher and communist leader. 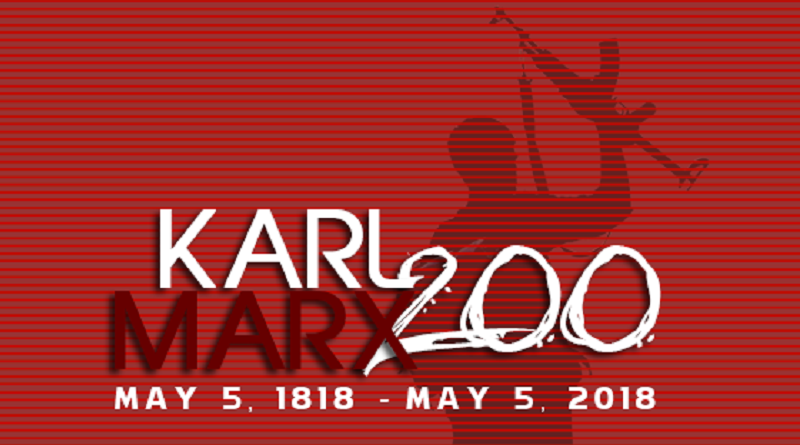 Today, the Communist Party of the Philippines calls on all Filipino workers to start a year-long commemoration and celebration of Marx’s 200th birthday on May 5, 2018. The whole revolutionary movement must salute Karl Marx’ and Marxism’s great role in history and in the continuing world struggle for the emancipation of the proletariat and the entire humanity. Use this celebration as an opportunity to study Marxism and use this to examine the country’s and the world’s present conditions and crises. Reproduce books, articles and other readings by Marx, likewise those of other great communist teachers who developed Marxism. Regularly hold seminars, classes and discussions to study Marxism. Apply Marxism creatively to investigate, research and analyze the present national and world situation, sum up experiences and lay down the tasks of the working class in advancing socialist revolution across different parts of the world. This celebration is of great relevance to the working class. This is an opportunity to raise the torch of Marxism in order to bring to light and extricate the roots one of the world capitalist system’s worst and longest crisis and the continuing decay of semicolonial and semifeudal countries such as the Philippines. Marx is the most important teacher of the working class. He created the Marxist theory that shook the foundations of the capitalist world and initiated a new epoch in revolutionary history. He gave birth to materialist dialectics and used this to study history and follow the development of social systems and the history of class struggle. He studied the foundation of the capitalist system and provided a scientific basis to the proletariat’s aspiration for freedom from capitalist exploitation. In his time, Marx participated in arousing, organizing and advancing the workers movement in different countries in Europe. While in Belgium, he helped found the Communist League in 1847. Because of his revolutionary activities, Marx became one of the most hated by the bourgeoisie. Governments–Germany, Belgium at France–deported him from their territories. On the other hand, he was beloved and revered by millions of revolutionary fellow workers–from the mines of Siberia to California, in all parts of Europe and America. Marx declared in 1845: “philosophers have hitherto tried to interpret the world. The point, however, is to change it.” Despite persecution by different states, Marx founded the International Workingmen’s Association (the First Internationale) in 1864 that made way for an unprecedented growth in breadth and strength in all countries of the world and the creation of socialist labor parties in individual national states.